This time of year I am always on the look out for fresh asparagus recipes. This one is wonderful either as a main course or a side dish for chicken or pork along with a fresh green salad and crusty bread. One of my boys also thought it would be good for breakfast and I think it would make a beautiful addition to an Easter brunch. 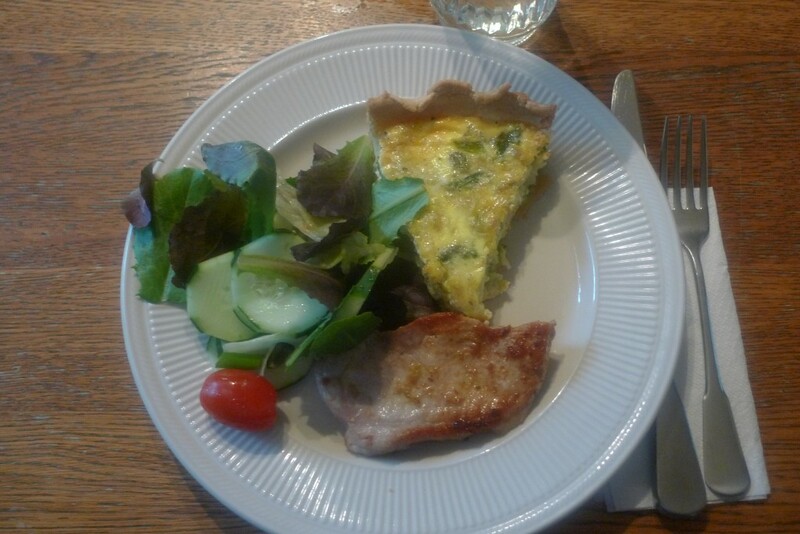 Any type of hard cheese would be good in this quiche but the New York Extra Sharp I used was delicious! Preheat oven to 350 degrees. 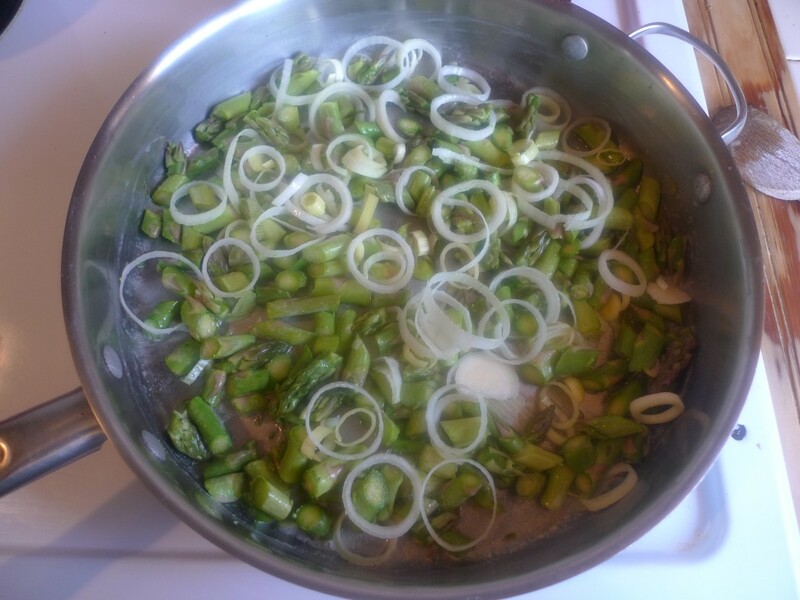 Melt butter in skillet and sauté leek and asparagus for 6 minutes, retaining the bright green color. Salt and pepper to taste. In a large bowl, whip together eggs and half and half, add dash of salt and nutmeg. Place pie crust on baking sheet. 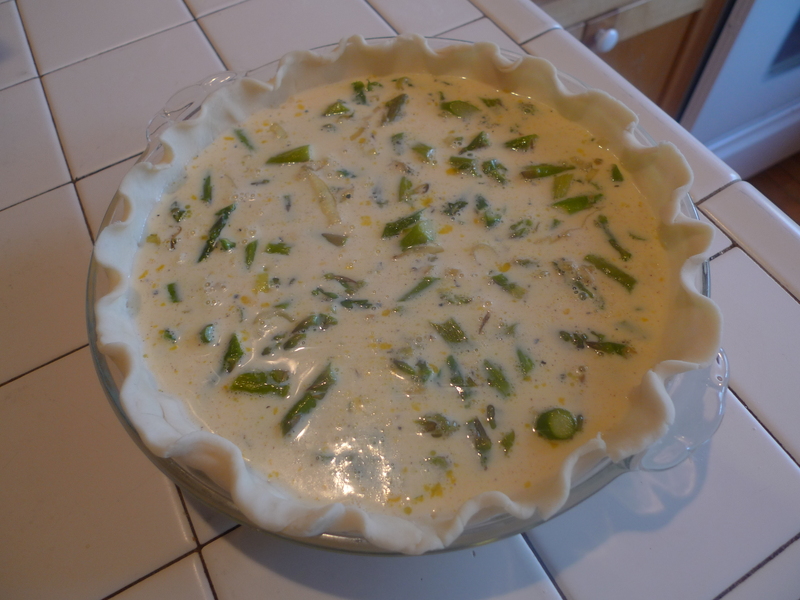 Sprinkle evenly with cheese, top with leek and asparagus mixture, spreading over the cheese. Pour egg mixture on top. 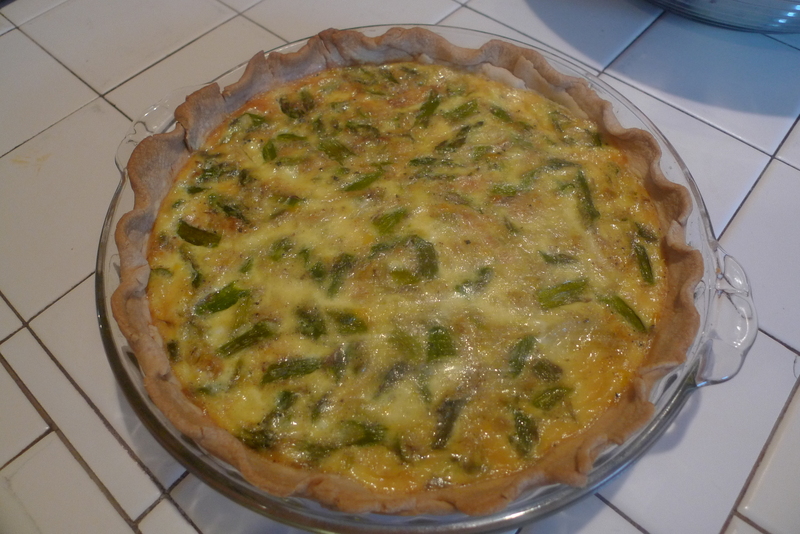 Bake for 50 minutes or until quiche is set. Allow to stand 15 minutes before serving.